Ever felt like you were meditating while listening to music, doing arts and crafts, or exercising? Wonder why that is? Meditation in it’s essence is all about restraining of the mind to a single act, state, or thought. Done with dedication and focus, any action can be meditation. Keep in mind though, it does not mean it’s easy to achieve such a perfect state of action. Our mind has a hard time being restrained to keep a single focus, but it gets easier with practice. This quote puts it in plain English, and beautifully equates a yogi’s meditation with a kindergarten employee’s work. 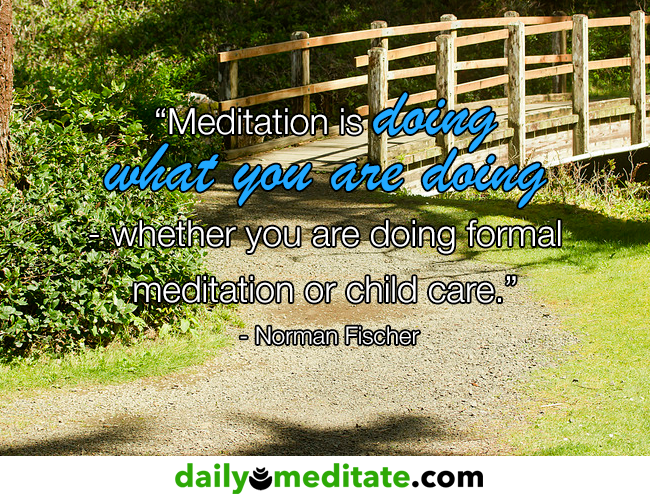 Do you meditate in your day to day actions? Please share with us all by leaving a comment below!